How can the experience of moving through a home enhance your connection with the nature outside of it? The design for the Phase 1 addition emerges as a response to the nuances of the site. On one hand, there is a need for a relationship between the master suite addition and the nondescript existing house. The existing house is conventionally clad in stucco and penetrated by generic windows. 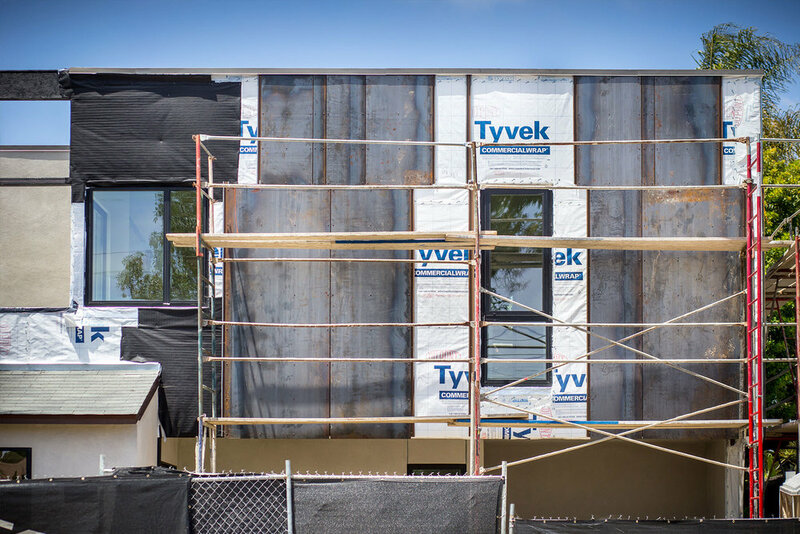 The addition mimics this idea as an autonomously clad enclosure of raw steel punctured by windows that filter light, air, external views, and views to adjoining spaces. 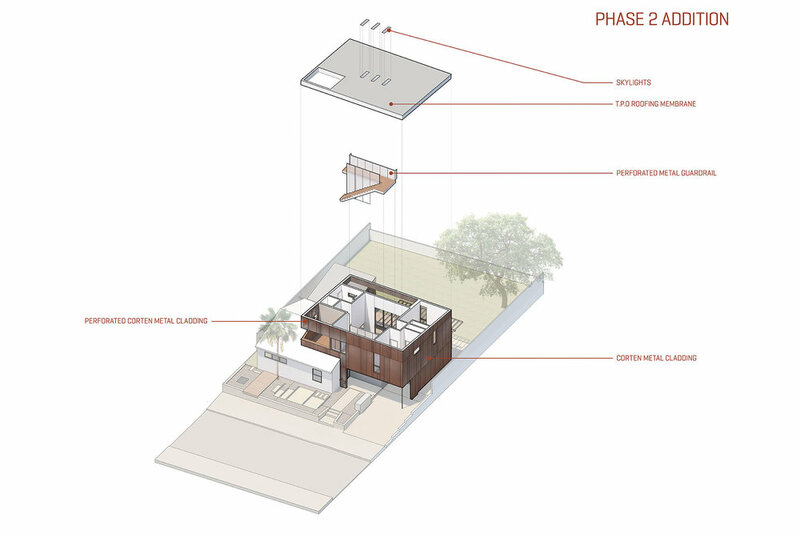 The Phase 2 addition is a bold mediator between the home and its complex natural surroundings. It features a double height living and dining room overlooking the gracious backyard poised at the head of a dynamic canyon landscape and large Brazilian pepper tree. 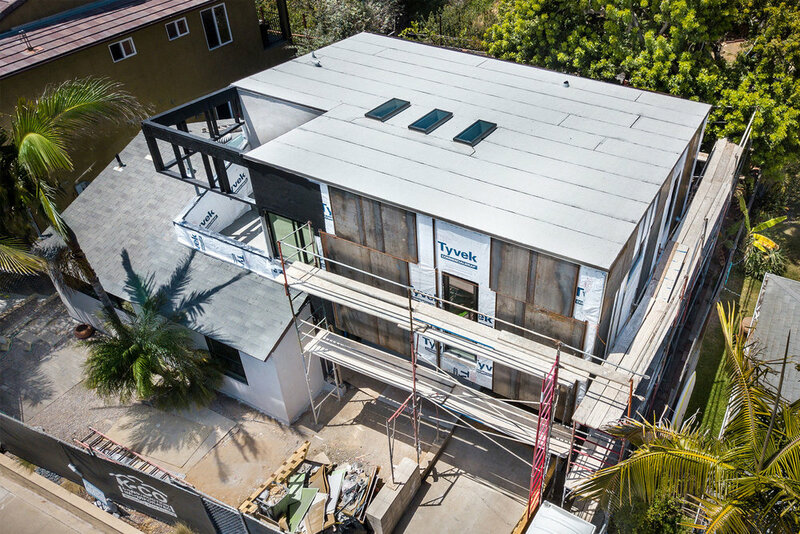 The raw steel skin mediates between the front and back of the house by creating an overhang in the back yard for shade and an upper porch in the front yard.